The Rh blood group system is spectacularly complex, while at the same time enormously important. Beginners trying to understand the system are often really confused by all the terminology that blood bankers use to describe the five main Rh antigens. We say things like, “well, the most likely genotype is R1R1, obviously” when it just isn’t obvious at all when you are trying to figure things out! Further, the genetics of this system have been variously understood and explained over the years, and it is very easy to get lost in the jungle of phrases and haplotypes and buzzwords! “But, BBGuy,” you cry, “surely you can make this easy for us!” My friends, the answer is “no, I’m just not THAT good (and don’t call me “Shirley”)! But, I can make it easier!” This post is designed to help you get started on the right track, and is the first of two on this topic. The Rh blood group system is a complex set of red blood cell surface proteins that most likely function to maintain the integrity of the cell membrane. As of May 2016, we know of at least fifty Rh antigens according to the International Society for Blood Transfusion, but we spend most of our time worrying about only five of them. 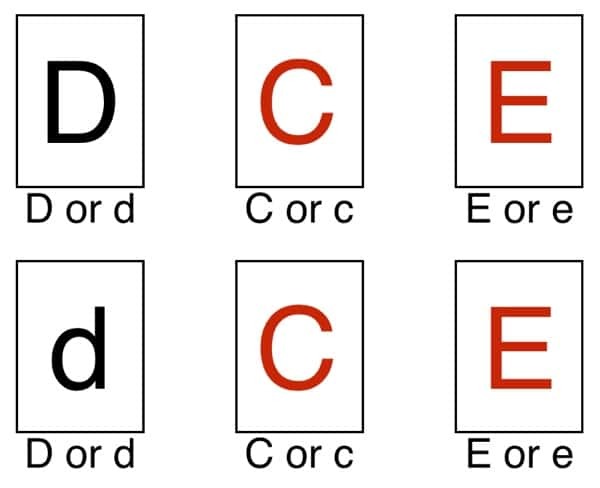 Those five (which we call D, C, c, E, and e) account for the vast majority of clinical and laboratory issues in this blood group, and for most of the confusion that people learning the terminology experience! Before we get rolling, you must understand this: The D antigen is the main Rh antigen. The presence or absence of D defines a person as “Rh positive” or “Rh negative,” an extremely important distinction that establishes a person’s basic blood type (in conjunction with their ABO type). 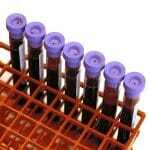 Commonly, blood bankers will use the term “d” (“little d”) to indicate the lack of the D antigen (in other words, we will describe someone who is Rh negative either as “D-negative” or when writing it, as “d”). Little d is a silly way to say or write it, because there is no little d antigen; little d is merely a slang term to indicate that there is no D.
Years ago, based on the theories of Fisher and Race in England, blood bankers believed that the five main antigens were inherited as a combination of alleles from three different genes: One D gene, one gene for C or c (called “C/c” which coded for either C or c, not both), and one gene for E or e (called “E/e” and likewise coding for either E or e). Each child received a group of Rh genes from each parent (a so-called “haplotype“), and the combination of alleles inherited from both parents resulted in the child’s final Rh phenotype. We now know that this theory was wrong (more on this in a minute), but the names for the five main antigens (D, C, c, E, and e) stuck around. Looks Complicated! How Do I Memorize This? Rule 1: The number 1 or ‘ (single prime) after the R or r, respectively, tells you to capitalize the first of the two remaining openings, the C/c position, and results in a “Ce” combination. Rule 2: The number 2 or ” (double prime) after the R or r, respectively, tells you to capitalize the second open position, the E/e, and results in a “cE” combination. Rule 3: 0 or nothing after the R or r, respectively, tells you that neither of the two open positions is capitalized, and results in a “ce” combination. Rule 4: Any letter after the R or r tells you that both of the two open positions are capitalized, and results in a “CE” combination. After years of further research, it is now clear that these five antigens are the result of the actions of two genes on chromosome 1 rather than three (Update: This was brilliantly and correctly proposed by Dr. Patricia Tippett, as kindly pointed out in the comment section below by Malcolm Needs). As was thought before, the D antigen actually is the product of the actions of a single gene, but that gene is now known as RHD. On the other hand, instead of a single gene controlling expression of C/c antigens and another gene regulating E/e antigens, both sets of antigens are derived from the actions of a separate, single gene, known as RHCE. The four possible alleles of the RHCE gene are RHce, RHcE, RHCe, and RHCE (note that the technically correct way to write the names of the alleles is as follows: RHCE*ce, RHCE*cE, etc., but everyone knows what you mean when you write them as I did above). 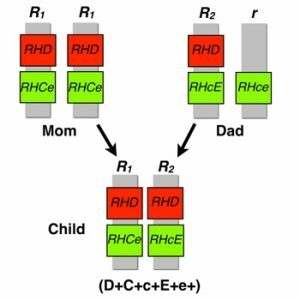 Each parent contributes one RHD and one RHCE allele to make up a child’s Rh type (expressed as the presence or absence of the main five Rh antigens above). While the old theories were wrong, the basic idea of haplotypes is still ok to use, as the RHD and RHCE alleles do tend to be inherited as a group (in other words, they are “linked” and it is reasonable to consider them as one group). NOTE: This terminology can be confusing, especially with RHCE. Remember, the gene is known as RHCE, but that doesn’t mean that all RHCE genes encode C and E antigens. Rather, four possible alleles (alternate forms of the gene) can occur at the RHCE locus on chromosome 1. Only one of those alleles is inherited from each parent. For example, a person could inherit an RHCe allele at the RHCE gene site. See the table below. As you would expect from the presence of two genes in the Rh system, two separate proteins carry these Rh antigens, with one protein (called “RHD”) carrying D and another (called “RHCE”) carrying the combination of C/c and E/e (as well as the rest of the Rh antigens outside of the first five). The proteins are very similar in appearance (and likely, in function), and both appear to be dependent on the presence of another protein known as “Rh-related Antigen” (or “RhAG”) for expression. If this is your first exposure to this stuff, take a little while and make sure that you can generate the list of the 8 possible haplotype designations. As I mentioned, it is crucial that you know them. You should also learn at least the two most common Rh haplotypes in each race listed on the table above. In a future post, I will outline how we can actually use those combinations to solve problems, and how they are assessed commonly on examinations. 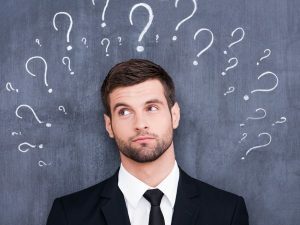 If this post looks familiar to long-time BBGuy.org readers, it’s because it is a heavily modified and (hopefully) clarified version of a post from 2011. Brilliant, as ever. Just a couple of things. It would, perhaps, have been nice to mention the fact that the two gene theory was first put forward by Dr Patricia Tippett, who is still well and as sharp as a needle, despite having retired many years ago now. I have a recent photograph of her, but cannot attach it here. I will email it to you, if you could provide an email address. The other thing is, and I may be completely wrong here, I always thought that, when the nomenclature RHCE*ce (I know, it should be italicised, but I can’t do it here!) is used, the “*” meant that the genotype had actually been “proved” by molecular techniques, rather than just by serological techniques. As I say, I may be wrong – it wouldn’t be the first time, and I have very grave doubts that it will not be the last time! Malcolm, thanks for the reminder about Dr. Tippett. You are right; she deserves mention, and I have updated the post to reflect that. As for the nomenclature stuff, honestly, I’m not remotely a geneticist, and the details of that issue go far more into “the deep end of the pool” than is necessary for this post, I think. I’m sure that you are right; I defer to your expertise, but don’t think it will matter to most people learning about this! Thanks, as always, for your kind comments. I was struggling with this same thing until I read this comment. You cleared it up for me, thank you! Hi! I’ve been studying for the exam and your website is very helpful. On the table showing the offspring’s phenotype and genotype, if R1 was inherited , there shouldn’t be an “E” ? After 25 years of working in my lab, and only performing the most basic of blood banking, the powers that be want the staff to start performing panels. Yikes! Your site has helped me refresh those long ago forgotten techniques. Thanks for being there! Kitty, I’m glad to be of help to you! What you are describing is not uncommon in U.S. labs today, as fewer and fewer qualified staff are available, it seems. I wish you the best as you navigate tricky waters. The content on this site, in part, is designed for people like you who are learning (or re-learning in your case) the field. I have a child who has liver cancer and has been old she has blood that can not be typed because it reacts as all known types. I am trying to understand how is this possible? They cant type her blood by standard tests. Carlene, I’m so sorry to read about your child’s liver cancer. Unfortunately, there is no way to evaluate your situation without more information, and I can’t do internet consultations. Please talk to local transfusion medicine experts in your area! Most every hospital can find someone who has enough experience and knowledge to discuss your child’s case intelligently (often, that will be the doctor overseeing your blood supplier, but in some hospitals, the expert may actually already work there). I wish you and your family the very best. Thanks, Vanessa! That’s very nice of you to say. I’m happy to help. These are very detailed and interesting information. I’m a medical laboratory science student and these information helped a lot, thank you very much . Lost again.. Please help..where did the little “rh” and “hr”s come from?! UGH! Fortunately, those terms are rarely used any more, as pretty much everyone uses the Fisher-Race, or “DCE” terminology. 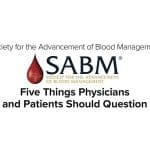 Wiener’s original names only appear in old articles, conversations with blood bankers who have been around for a long time, and occasionally, on exams and practice exams, as it seems you have experienced! 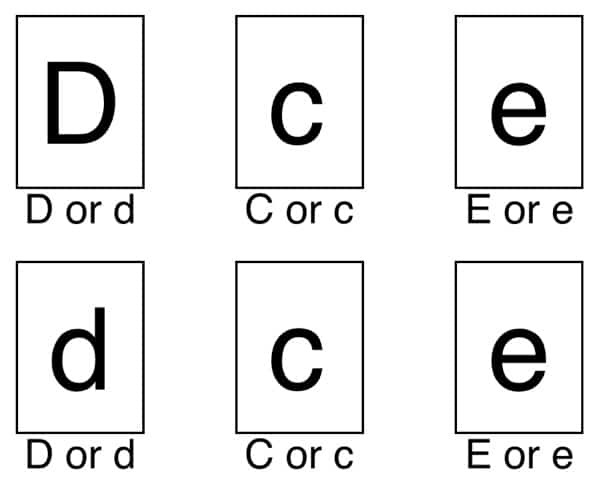 You can clearly see the pattern above (rh means a capital C or E while hr means a small c or e; ‘ means C or c, ” means E or e), so it shouldn’t be terrible to spend a minute to remember these before an exam. In real life, though, you will rarely see or hear them! Of course! 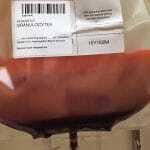 This site is designed to be a help to those teaching blood banking and transfusion medicine. I only ask that you attribute appropriately and avoid changing my words. I was told once I had 0+ with a genotype of r2r2 (not R2R2) and rare. I was reading this article to try to figure this out, but over my knowledge base here and not really understanding in laymen’s terms. Jennifer, send me an email through the comment page and I’ll be happy to try to help. I can’t do medical consultation over the internet, of course, but I’ll do what I can. Thanks for writing! I got it! I was struggling for days to memorize the Rh nomenclature and now I have a good grasp of this material. I am preparing to take my MT certification next week and this is just helpful. Thank you. I’m so glad to help you, Judy! Best of luck on your exam! I am 52 years and old and 15 years ago I delivered my son 5 weeks early due to escalating antibodies. Post delivery (my son with bad jaundice, but otherwise healthy) the below information was explained to me by the hospital’s hematologist. He said my blood combination was rare. 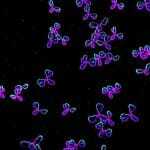 I have since been diagnosed with an autoimmune disorder – rheumatologist says my tests look like I have Lupus, but I’ve had no symptoms in the 13 years since it was discovered after my delivery. Question, is this blood difficult to find? Should I be stocking up on my own blood, God forbid, I ever need it? Should my two children be tested for similar blood related issues? 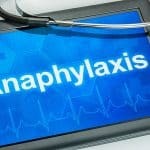 Heather, thanks for reading the blog and for your question. 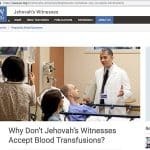 Unfortunately, there’s a decent amount of detail in the response, and I can’t give you medical advice through this site. Here’s what I can say: Anyone with antibodies in their blood against what we call “antigens” on red blood cells that are not in the ABO system and the main Rh antigen (we call that one “D”) should clearly understand what that means to them and their future possible transfusion needs. The only way to do that, in my view, is to have a conversation with someone who can be involved in your care, such as a personal physician. Now, you may have to be persistent with this, as it’s very possible that those antibodies may have gotten weaker (or even disappeared over time), so your testing may appear different now than it did 15 years ago. 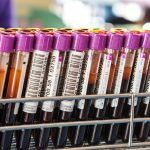 Also, many healthcare providers don’t have a lot of experience dealing with these types of antibodies, and it may require a discussion with a hematologist or Transfusion Medicine specialist at the hospital where you were tested before to sort it all out. In the end, though, you should have someone review the exact antibodies you had then and have now, and be able to understand exactly what it means. I encourage you to be persistent. 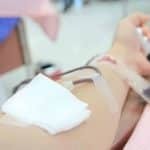 If worse comes to worse, your local blood donor center will generally have a physician overseeing things that you could discuss this issue with. I wish you the best. thank you so much for clearing this up!! i am now enrolled in an SBB program and this helped ALOT! will be visited this blog and your others to help clear the murky waters i’m in now! Hello, I donated blood today and the nurse put a sticker on the bag to say it was suitable for neonatal babies. I’m O+ and apparently R1R1 – she said look it up on the internet – which I have done and found you – but nothing I have read tells me why my blood is suitable for newborn babies. I’d love to know why – just curious. TBH I don’t care who gets my blood as long as it helps them. Hi Nada! Sorry it took me awhile to respond. I can’t say for sure why the nurse said that, but it is most likely due to the combination of you being blood group O (which means your blood can go to any other blood type: A, B, or AB, as well as others that are group O) and being negative for a virus called “cytomegalovirus (CMV).” Again, I can’t say that for sure, but that is most likely. CMV is a big deal for little babies, so we try to give them blood that is less likely to give them that infection. By the way, since you are O positive instead of O negative, your blood might not be used for all babies, but it would certainly be useful for babies who are Rh positive like you. Most importantly, thank you so much for donating! We need blood every day, and I’m sure your donation will be used in the best possible way. I have a card from the hospital over 35 years ago saying I am A r’r blood group. 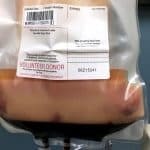 I was told it is rare that I cannot give blood as I had anti D after giving birth. 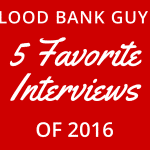 For more information, you should speak to a local blood bank director in a hospital or blood center near you. Only they could speak more directly to your circumstances. I wish you the best! I love you sir !!! I can’t tell you how helpful it was.You are a savage.I watched alot of videos but still got nothing and this explaination just solved everything.It was my 1st time on your website but it won’t be the last time I believe. i was just going through Rh blood group system and find ur blog sir…this was really very helpful..thanks for explaining beautifully.good enuff to memorize now. Excellent work Joe. I find all the information here really handy and informative. We had genotyping done on a WAIHA who’s Rh Control and Anti-D were both 4+ (invalid!). Genotype we were given is RHCE*cd, RHCE*cE ….. does this give us answer to wether he is Rh Positive or Negative? Unfortunately, it appears there’s a typo in that genotype, Sharon! I’m not familiar with “RHCE*cd” and I asked a good friend who is an Rh genetics expert as well, and that person feels the same. It seems more likely that was intended to be “RHCE*ce” which would mean the answer to your question is that those results do NOT tell you whether the person is D-positive, D-negative, or has a D variant. You need specific genetic testing on the RHD gene to get that answer. The results you have quoted are for the OTHER Rh gene, RHCE.